Apartment bidding takes the guess work out of competitive rental pricing and puts it into the hands of your prospective renters. Rentberry, the startup that brought apartment bidding into the limelight, allows property owners to upload their vacancy information (photos, description, rental requirements, base rent and security deposit) and allow applicants to bid (countering with a higher rent or security deposit) to live on the property. If one applicant gets outbid by a competing applicant, the site will notify the original applicant and suggest a higher bid. This allows property owners to get a higher rental amount (and sometimes security deposit) for their vacant rental properties. Although Rentberry automates quite a few functions needed to attract and obtain new residents, crucial features like lease eSign, adding 3+ properties, and listing syndication costs extra. If you’re currently using a property management software (that should have all these features already included), this becomes an unnecessary cost. Not to mention using an apartment bidding website will add the additional step of transferring the new Rentberry leases and resident info into your management system. Despite offering a credit report and background report for free, the quality of the background report is extremely ambiguous. The website says you can receive criminal and eviction history, driving and civil records, and potentially other records from state and national databases, but it isn’t any clearer about how or where they receive that information other than that. 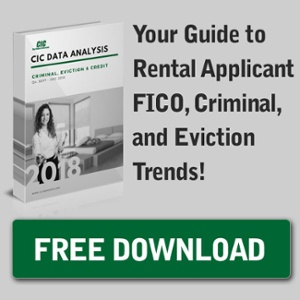 Additionally, it shows no evidence of who would have to handle applicant disputes or how it keeps their data locally and federally compliant (which can be a big deal for rental ban-the-box cities). Worried that apartment bidding will worsen the city’s affordable housing crisis, the city of Seattle has put a one year ban on apartment bidding websites, Rentberry and Biddwell. Although Rentberry is currently suing the city over the ban, it does call into question how apartment bidding could positively or negatively change the multifamily market. One thing’s for sure, it certainly won’t make tenant’s rights activists and politicians clamoring for rent control any happier. While apartment bidding is an interesting concept, the current platforms offering the service don’t particularly provide any additional benefits to multifamily property owners other than (potential) increased rent revenue. Vacant luxury units that are already in very competitive markets might benefit from the service, but it’ll be difficult for this to be used widespread. Have you come across these apartment bidding websites?